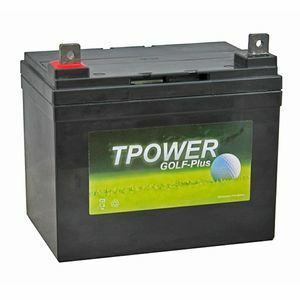 Great price for a quality battery and super quick delivery. Very quick delivery, excellent packaging to avoid damage and so far doing everything I wanted. Thanks! Battery arrived very well packed. Only had three outings so to soon to qualify longevity but so far so good. Battery arrived within specified time in a well packed box. So far the product is performing well. Arrived on time, well packed and after five times on the course, I find it better than my previous battery. Exactly what I required, a good product at a good price. First use 27 holes ok. Still at least 18 holes left in it. Time will tell.? Great from start to finish.I had ordered wrong battery and sent it back and ordered the one I should have ,the delivery and returns were spot on.Great service. Good battery and super service. I have used before and will use again.